Nakivo Backup and Replication is available for certain NAS. There are some benefits in doing so and in this post, we’ll discuss that and have a look at the details. As you know, Nakivo is no longer the new software vendor but rather the one who’s product has very flexible deployment options. You can deploy Nakivo on a physical or virtual system, on Windows or Linux. Or on a NAS device. Nakivo Synology Details, Benefits and Advantages is the topic for today’s post. 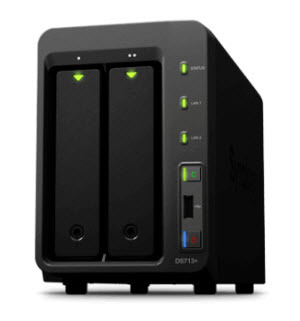 For an IT admin who has supported Synology NAS in his/her environment, this might be a very interesting option. Nakivo as a vendor has been around for a couple of years. 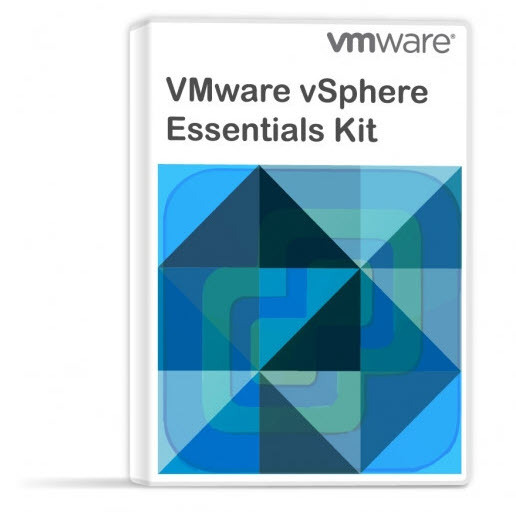 Their product has been visible in the VMware and Microsoft ecosystem for quite a while. The UI fast HTML5 driven, strong feature set, reliable backups, and solid documentation. Let’s get back to the main topic which is Nakivo on Synology (but other NAS vendors are also supported). One might think that there is not much benefit to having a backup software installed on a NAS device rather than a separate VM or dedicated (physical) server. But when you have a production environment, you must think globally about your data protection strategy. By having the backup software physically separated from a virtual infrastructure you are basically saying hey, I’m not having all eggs in the same basket. This is crucial, this is important, but there is more. Your backup software and backup workloads do not consume any resources from your virtual infrastructure. Another aspect to think of is the budget. (N° 1 in many environments). You’re already investing money in NAS device, so why not use its power of the NAS device to run backup software at the same time? So while you already own the NAS, why not use the Synology Disk Station Manager (DSM) to deploy Nakivo to backup/replicate your VMs? It comes out as an add-on. 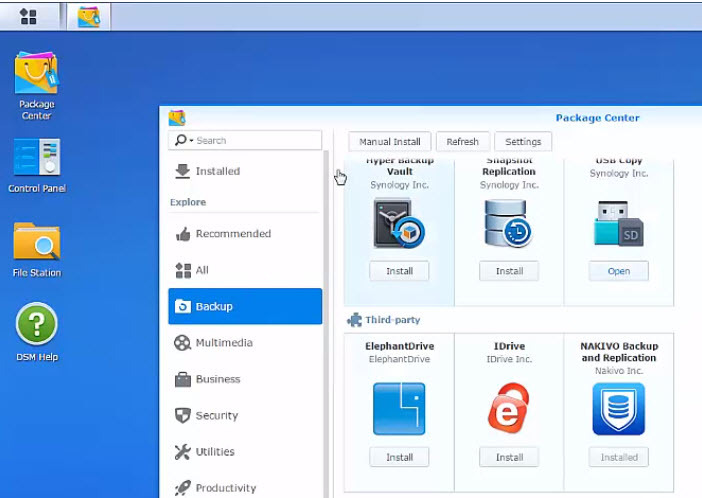 Today we have backup tools that make it possible to back up running virtual machines. Those tools are able to do an incremental data replication which synchronizes the data between the current environment and the data already saved as replicas (VMs ready to power on) at a remote site. An Nakivo Backup and replication is one of them. The fact that we have those tools which are able to minimize the impact of running VMs by compressing data or performing incremental backups to reduce the impact of data volumetry and thus reduce costs. Those tools we’d dream off just a few years ago… They are here now and they are fast. However, you can achieve up to double the backup speeds vs. VM-based backup solutions when the product is installed on a Synology NAS. This is because backup data is written directly to NAS disks, bypassing network protocols such as NFS and CIFS. Those tools are maturing. With the recent release, Nakivo further expands its features, which are already very rich in functionality. You can safely backup industry standard applications running in your VMs including Microsoft SQL Server (Object Level Recovery and Log Truncate). Nakivo Backup and Replication solution continues its maturation and catches up with some of the best data protection products within the virtualization backup ecosystem. We’re keeping eye on those new, but also the maturing systems. Not All Synology NAS are supported. Check with your Synology NAS support. The NAS does not have to be top of class one. As being said, this is not all this software can do. We have written several posts detailing the configuration, using the UI and showing you how easy is the product to maintain. Our lab runs Nakivo on dedicated Windows Server (Windows version) which is very easy to maintain and update. Nakivo’s config is also portable. You can either have a possibility to Self-backup feature to quickly roll-back your system config in case something goes wrong or use system config export when moving your Nakivo backup server installation to another location. We continue to monitor the data protection market with particular attention, for small businesses. Many companies in Europe and elsewhere are tiny in size, with limited resources, but they still need to protect efficiently their data. While many enterprise vendors can solve their problems with technical solutions, it’s not always cost effective. However, there are still backup vendors which are targetting the SMB and vSMB (very small business) space.